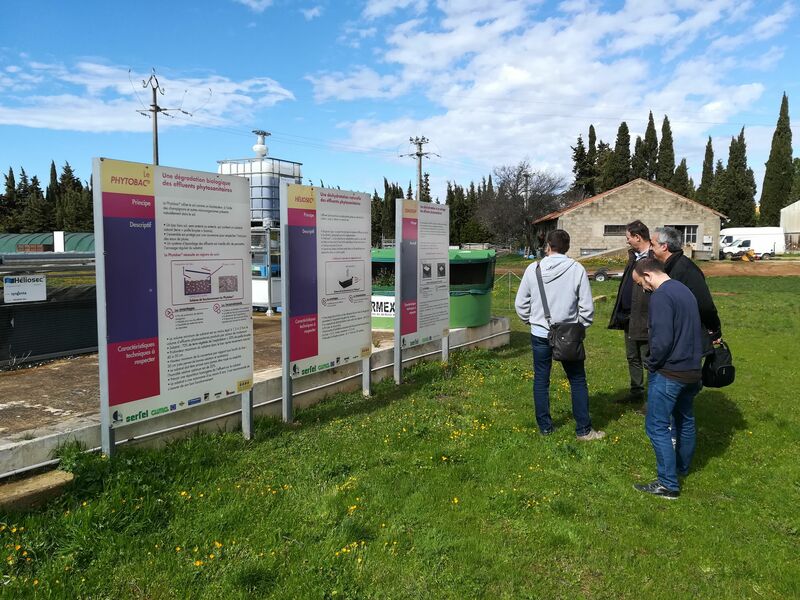 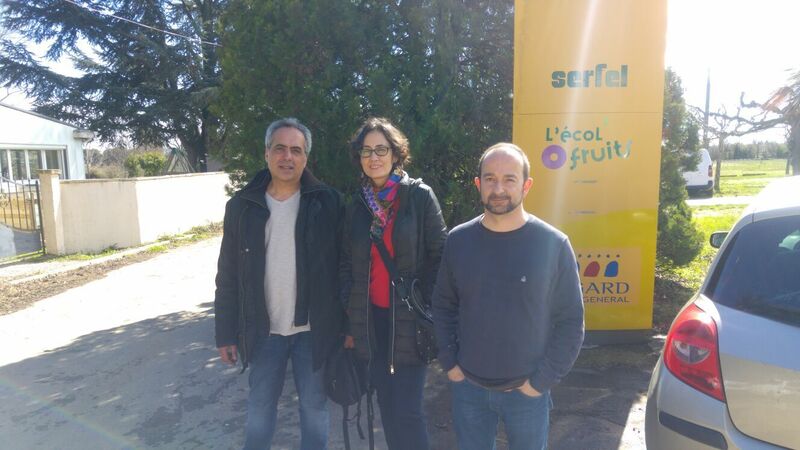 Last week, we visited the Chamber of Agriculture in Gard in the province of Occitania where a technical event on systems for decontaminating agricultural waste water was held. 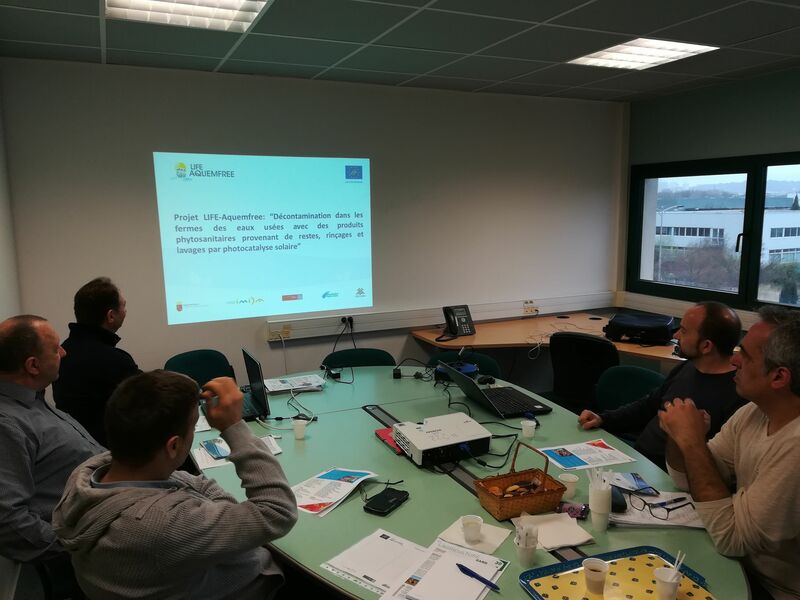 The visit began with a meeting and a presentation on the LIFE-AQUEMFREE project was given. 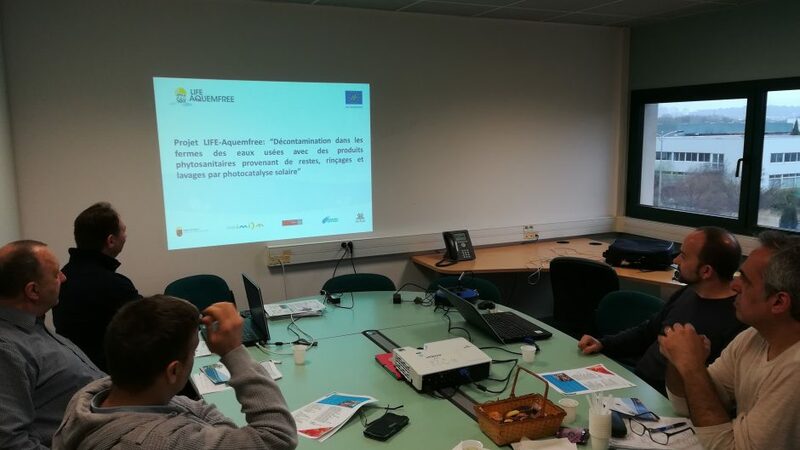 This was followed by a tour of the facilities and the visitors were shown some of the systems French farmers use to mix formulated products and to decontaminate effluents.